Dorianne and I did a post-Christmas trip to Paso Robles this week. We were accompanied by her sister Debby and Debby’s husband, Mike, who live in Oklahoma, but love wine very much. The trip was really a good experience, so I will cover it in two posts. Paso Robles has become the premier region of California’s Central Coast, which is saying something, as there are a lot of great wines coming from Santa Barbara, San Luis Obispo and Monterey Counties. With over 200 producers, Paso Robles is the largest region (it includes 11 AVA’s), but it is also the place where the most experimentation and innovation is happening, which is by design. The focus is mainly on Cabernet Sauvignon and Zinfandel, but there are dozens of varietals being grown and the Rhône-style wines produced there are world-class. I have written before of our trips there to attend the Garagiste Festivals (LINKS). This time, we selected just a few wineries to visit, three on the east side and two on the west side; HWY 101 is the divider. This post will speak to the east side and Part 2 the west side. 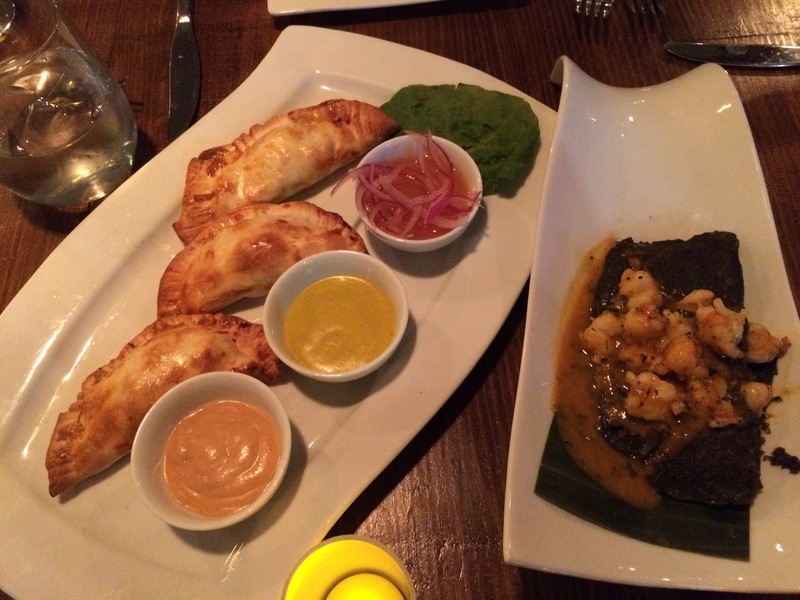 Our arrival on Sunday night began with dinner at Mistura (LINK), a Peruvian themed restaurant located at a golf course on the east side of town. 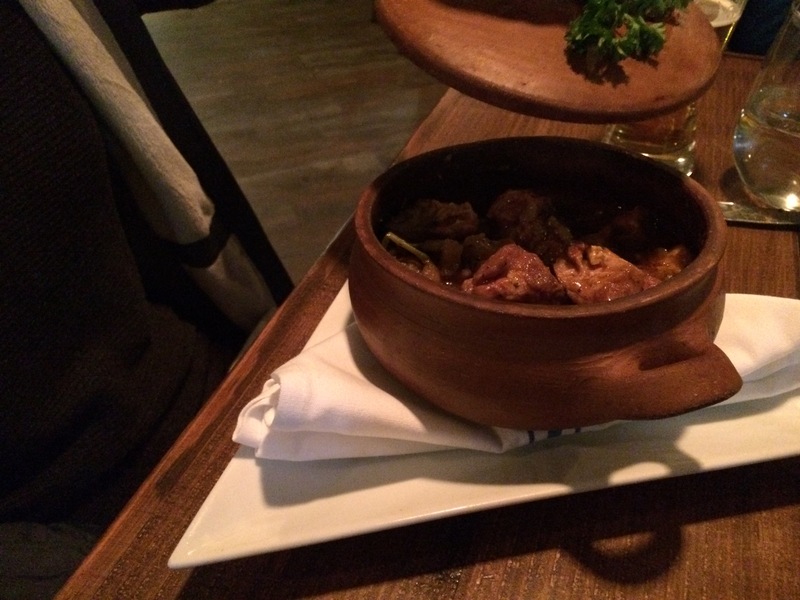 This highly rated restaurant was an excellent choice for food and beverage, but our timing was off. The Sunday after Christmas is a very unpredictable night, and they were a bit over-crowded. We did not get seated for our 7:00 pm reservation until about 7:45 pm and our dinner did not arrive until almost 8:30 pm. That said, the staff was very gracious and helpful the wine list is very good, and the venue is very nice. Avoid the holidays and you should have a great experience. 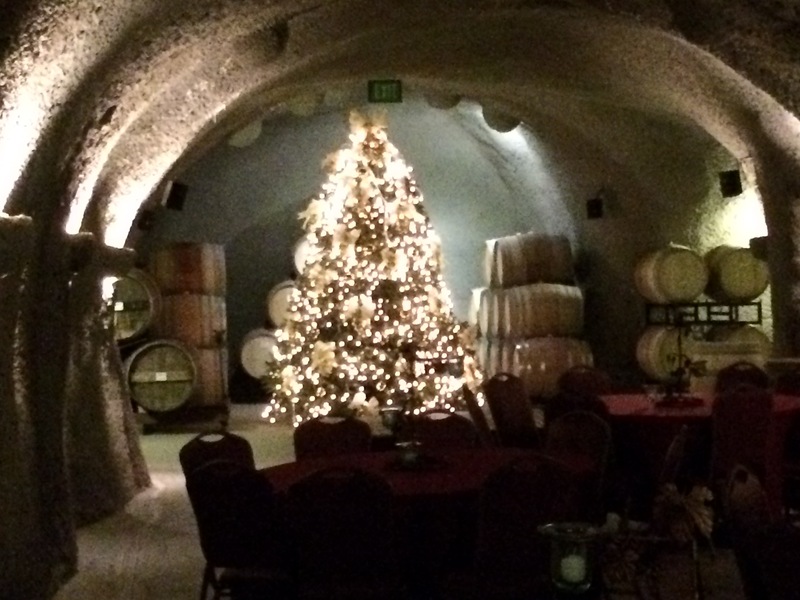 On Monday, joined by our daughter, Grace, who was in the area with her father for the holidays, we began our tours at Eberle Winery (LINK) on Route 46. 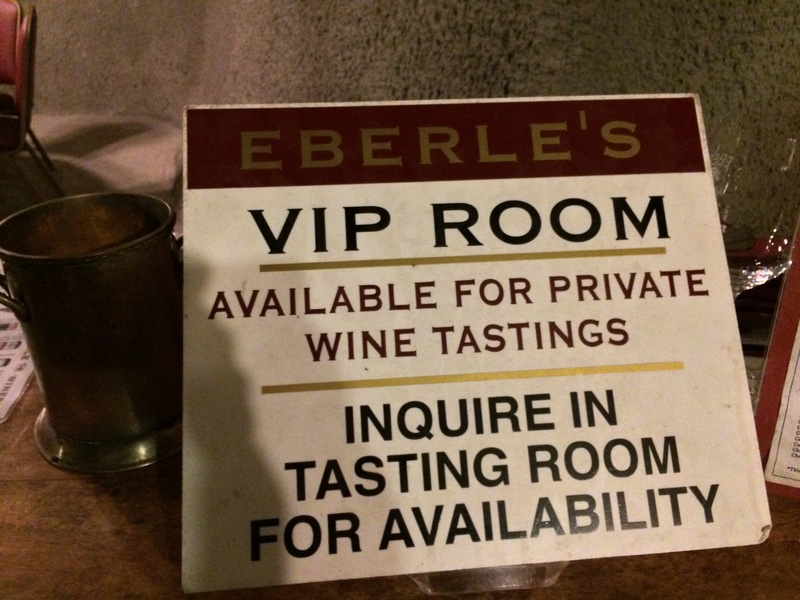 A relatively large producer for Paso Robles, Eberle provides a very good customer experience when you visit: complimentary tastings and winery tours (Dave Olcott and his team do a very professional job), a nicely appointed main tasting room, and knowledgeable staff. We felt well cared for and enjoyed our tour and experience very much. 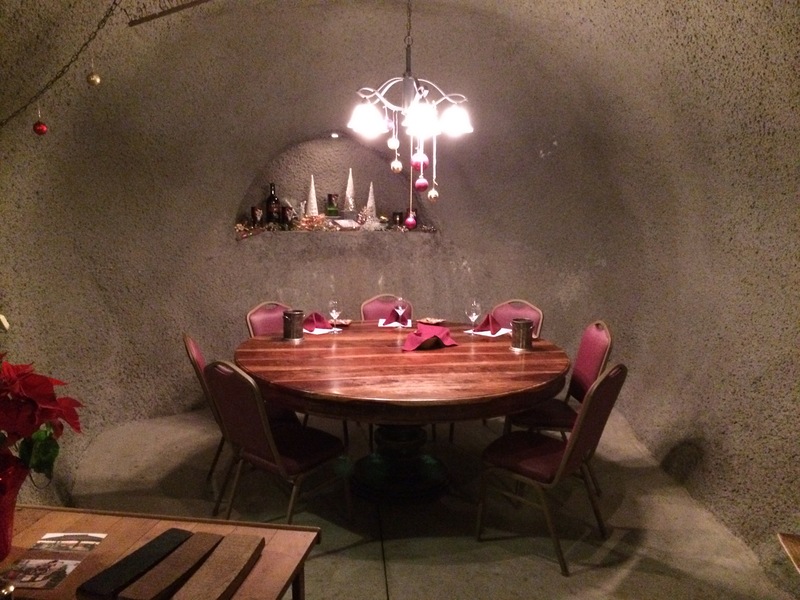 The venue is also available for special occasions and there is a VIP Tasting experience in the Wine Caves offered for a fee that looked very nice. Some photos from Eberle. The wines at Eberle range from whites like Chardonnay, Viognier, and a Côtes-du-Rhône Blanc blend; a Syrah Rosé; and reds that include Barbera, Syrah, Zinfandel, Cabernet Sauvignon, and a red blend. Most of the wines on their website are available for tasting. You get to choose up to five wines to taste. Overall, I would rate Eberle as a very competent wine producer and many of their wines are good values. We particularly enjoyed (and purchased) the 2014 Viognier, Mill Road Vineyard, the 2013 Zinfandel, and the 2013 Barbera. 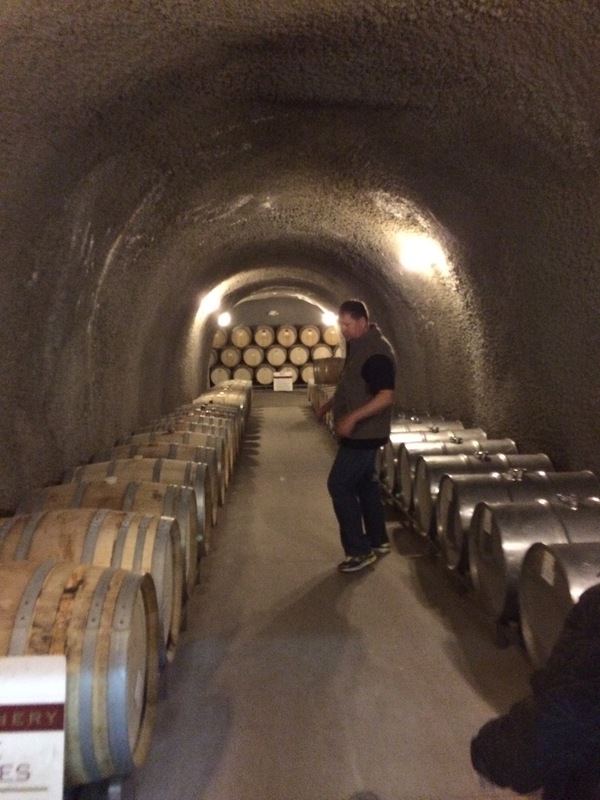 The next stop was Tobin James Cellars (LINK), farther east just off of Route 46 East. Tobin James has a unique branding look and their tasting room facility is set like a saloon in the wild west. Very campy. The place was packed when we arrived (about noon on a Monday), with three large bars pouring complimentary tastings. One thing that appeals to me – they have Tommy Bahama brand (LINK) shirts with their logo and name on them. Probably 2/3 of my wardrobe is Tommy B.
Tobin James takes a little getting used to for the serious wine drinker – getting past the colorful hype if you will. In the tasting room, you have your choice of a variety of wines on the tasting menu, but only one Zinfandel. Since I know Tobin James as a producer of high-quality Zinfandels, I asked Bethany, our very personable and competent tasting room staff person, if there was another menu. She smiled and produced a second menu with 6 Zinfandels, a Primitivo, and seven other Reserve wines. Also complimentary for tasting. Now we were getting somewhere. Dorianne and I did side-by-side tastings of the 6 Zins, which were all excellent. We purchased three after getting Grace to expand her pallet a bit. When you get to the higher-end wines, Tobin James excels. Their other wines are good for everyday use as well. 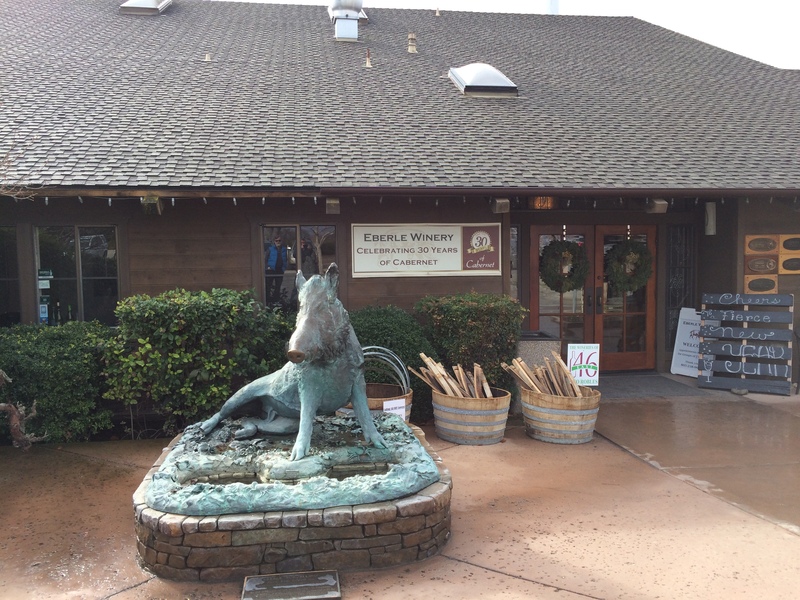 O ur final stop of the day was a Cass Winery (LINK) in Creston, just southeast of Paso Robles. We know Cass Winery as a primary source of fruit for our Agoura Hills-based wine cooperative that I have posted about in the past (LINK). 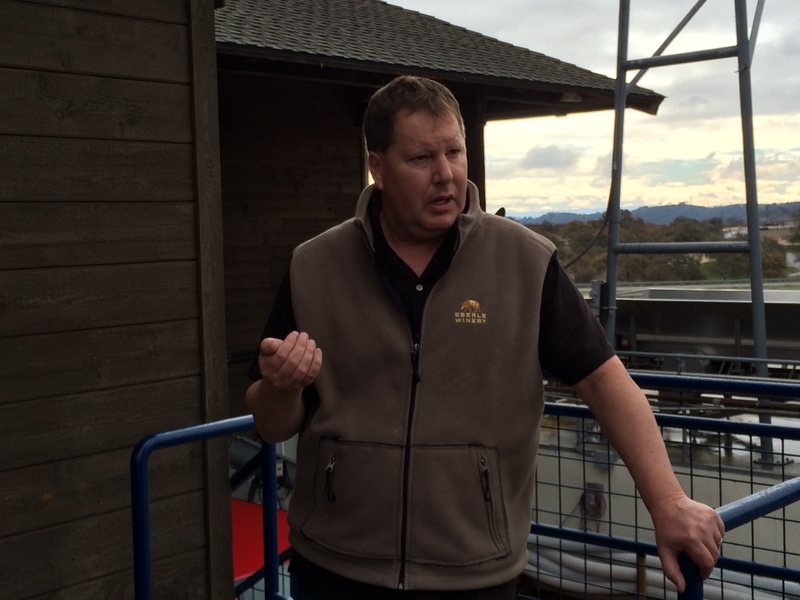 Cass, run by Steve Cass, is very well-known as both a reliable and innovative producer of a number of varietals. 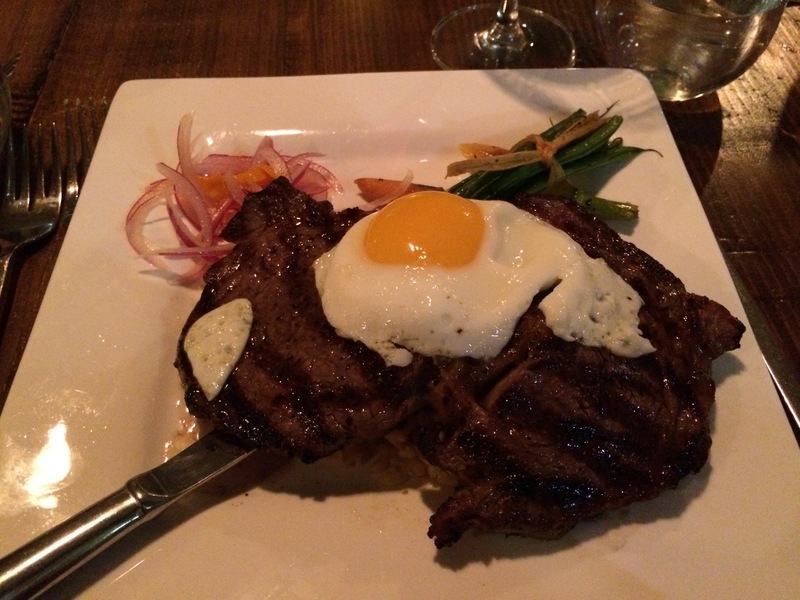 With 17 wines featured on their website, they are also very versatile. I am a big fan of Cass’s Rhône-style whites, particularly the Rousanne and Marsanne varietals. Since our tasting included lunch in the winery cafe, it was an opportunity to experience their wines with some food. I opted for their award-winning burger, which was not the best choice for the whites, but . . . I was hungry. Suffice to say that the Rousanne and Marsanne that we tasted were excellent – rich and fruity with a nice sense of minerality. The reds, a Syrah and a Cabernet Sauvignon, were also very nice. So our first day of tasting came to a close at about 2:30 pm. Then we said farewell to Grace and headed for the market to get chicken and some other provisions for dinner at our AirBnB house that evening. The Eberle Viognier and Zinfandel purchased that morning would prove up to the task of the appetizer and main courses. Wine travel is indeed rewarding, the wines, the places, and the people. Next post – Paso Robles’ west side, featuring Tablas Creek and Calcareous Wineries, and a great Mexican restaurant. Jim, we have been in the Tobin James wine club for 5 years and try to visit every year. Their Zin is great but I am sorry they did not pour their “5”. It is a Bordeaux blend that will knock your socks off. 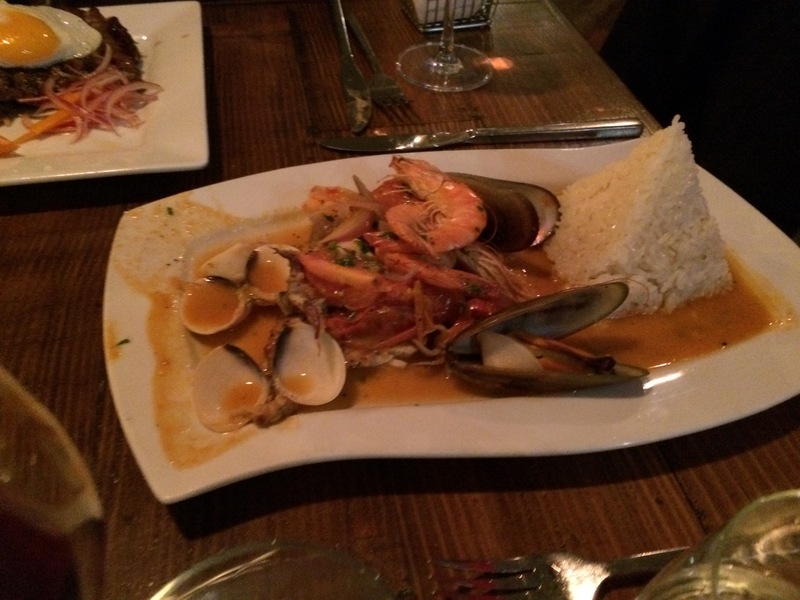 Suggest you try it the next visit. Actually, we did taste the “5”. Excellent. I should have mentioned it. Which Zins did you end up purchasing from TJ? They vary so much but are all extremely good!